best known and most prolific natural history writers. What makes the perfect wildlife holiday? There’s a question to ponder as we begin 2019. Some people simply want to see as many species as they can - of birds, or mammals or butterflies. Some only seek that special icon, such as a Tiger or an Orca. There are those that revel in spine-tingling experiences, however they may happen, coming back with memories rather than lists. Still others thirst for the thrill of the new, visiting a part of the world far from their own experience. Many clients crave a mixture of wildlife and comfort. Adventure might be the key, where the animals come with a white-knuckle ride. Others want to dip into culture and history, as well as natural history. Here at Naturetrek we’ve been putting our heads together to come up with a selection that covers all this and more. These holidays cover every month of the year, much of the world, and a good range of the iconic creatures of the planet. Here are our top 25 recommended tours for this year. Here are our top 25 recommended tours for this year - for further information, call us on 01962 733051 to speak to our friendly office experts, or send us an email and we’ll get right back to you! If you like a little luxury and a lot of birdlife, this is the holiday for you. 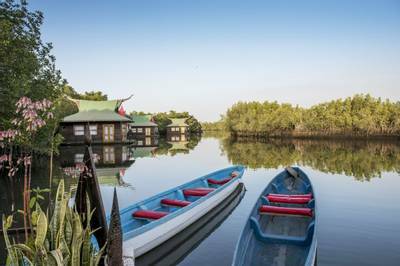 Staying at a the plush Mandina Lodge complex, you will be surrounded by an astonishing variety of birds which, if they aren’t buzzing about the garden, will be easy to see in gentle walks close by in the 1000-acre Makasutu Forest, or by taking peaceful canoe rides into the nearby mangroves. They include a glittering array of colourful groups such as Rollers, Sunbirds and Glossy Starlings. The trip includes two excursions further afield focusing on waterbirds, seabirds and trickier forest specialities. Time of Year: January to April; November to December. It’s Africa, but not quite as you know it. 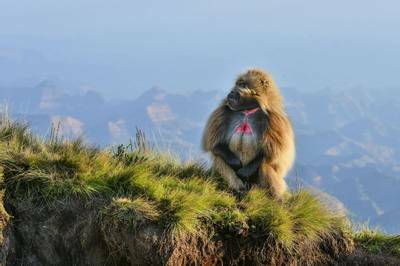 The cast of characters is unique to the area – the Gelada Baboon, which looks as though it permanently wears a poncho; the super-handsome Ethiopian Wolf which, in the Bale Mountains, has the ultimate niche diet of Giant Mole-Rat, one endangered species feeding on another; and the remarkable Thick-billed Raven, with its specially adapted outsize beak. Ethiopia also has scenery of other-worldly appearance, with deserts, waterfalls, the huge inland Lake Tana, and the majestic Bale Mountains with their ranks of alien Giant Lobelias and other weird mountain plants. It’s a destination to blow your mind. There’s a chameleon as small as your little finger, cockroaches that hiss, a spider that builds the biggest web in the world, and trees that looks as though they are planted upside down. Welcome to Madagascar, where 80% of living things are found nowhere else on earth. Above all are the the lemurs, a family of primitive primates that are each as different from each other as Pokemon characters, from the cat-like Ring-tailed Lemur to the big treetop chorister the Indri, and from the adorable Mouse Lemurs to the Aye-aye that could, honestly, have been a character in a horror flick. 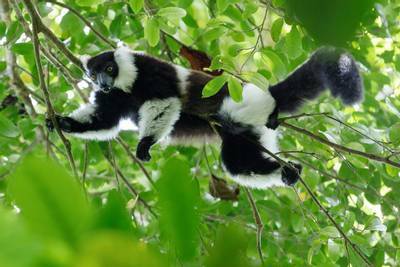 On this tour we scour the island’s top sites for as many lemurs and other marvels as we can find. Time of Year: September to November. This is the Africa most people dream about. 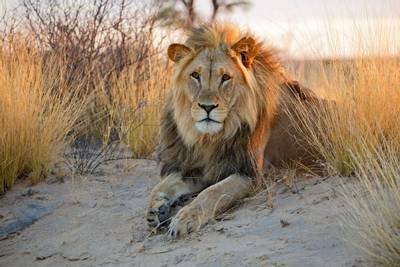 The savanna and marshlands teem with game, which in turn attracts exciting predators such as Lions, Leopards and Cheetahs to stalk them. Elephants and Giraffes stride over the terrain, and Hippos lounge and bicker in the waterways. This mammal tour takes us to the Khwai region, overflowing with herds of Impala, Red Lechwe and Waterbuck, and also to Moremi Game Reserve, which, among other highlights, is one the best places to see the increasingly threatened African Wild Dogs. Mammals are the focus, and we will take a number of night drives and some thrilling daytime game walks. Take one of the most iconic mammals in the world (in fact, two) and mix in one of the world’s most iconic birds – and this tour is the result. Most birders would be over the moon with just seeing a Shoebill at one of its most reliable localities, Uganda’s Mbamba Swamps. This peculiar long-legged bird, with a bill adapted for catching lungfish, would not look out of place in a movie such as Jurassic Park. But that’s not all. 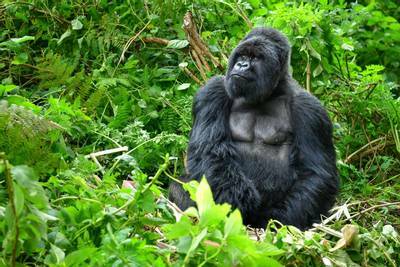 How about a date with the world-famous habituated Mountain Gorillas at Bwindi Impenetrable Forest? Or even a chance to see Chimpanzees at Kibale Forest? This – and other birds and mammals galore, is on offer here. 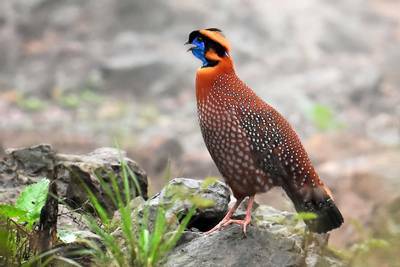 You could be Christmas shopping in November and December – or you could be in the mountains of China seeing some incredible mammals and birds in stunning surroundings. The list of likely mammals for this tour is unreal – it includes Red Panda, Chinese Mountain Cat, Tibetan Fox and Golden Snub-nosed Monkey. And then there are the birds – flocks of gorgeous Snowfinches, gatherings of the incomparably intense blue Grandala, plus several stunning pheasants including the crimson-burst of Temminck’s Tragopan. You’ll see bamboo forests, high plateaux and snowy passes. The food is ample, the days memorable and almost every night there is the thrill of spotlighting for rare mammals. 7. 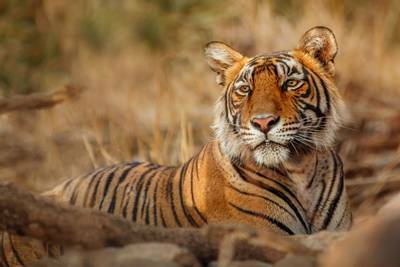 India – Tiger Direct! You never forget your first wild Tiger. It leaves you awed, shaking; many people cry with emotion. Sometimes you hear the alarm call of a deer or monkey first, and you know the Tiger is close, increasing the drama. These large predators, immaculately camouflaged by their famous stripes, can be elusive, but in Pench National Park and nearby Kanha National Park, in the heart of Central India’s Tiger country, the chances of multiple encounters with the big cats are very high. There’s also a great supporting cast including Leopard, Dhole (Wild Dog) and many colourful birds. Sri Lanka, off the southern tip of India, is very much an island, with a history and natural history all of its own. On this tour we take in both in relaxed fashion, as we witness cultural sites of remarkable variety, dating from 3000 years ago and up to the Victorian era, plus a range of wildlife that encompasses famous icons such as Asian Elephants, Leopards and Sloth Bears. The island, which has close affinities to south-east Asia, also has an impressive range of animals and plants found nowhere else in the world, including an impressive 33 endemic bird species. 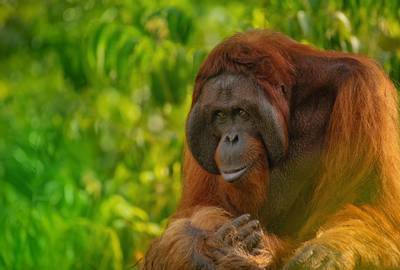 They might currently be most famous for being under threat from palm oil, but Orang-utans, the big, hairy red apes with the long faces and close-set eyes, can still be found in a few special places on Borneo. There will be ample opportunity to get to know them on this tour, from enjoying the animals at Sepilok Rehabilitation Centre, to searching for wild individuals along the Kinabatangan River and at the incomparable Danum Valley Conservation Area, one of the best wildlife sites in the world. Other highlights are many, including the equally remarkable and comical Proboscis Monkey, to Swiftlets and Bats at Gomantong Caves and superb range of thrilling forest creatures, from Colugos to Helmeted Hornbills. 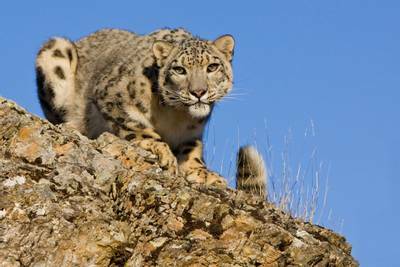 Until recently a wildlife tour had about as much chance of seeing a Snow Leopard as it would a Yeti. These ultra-elusive predators live at low density in big landscapes into which they merge like ghosts, and few visitors ever saw them. These days, however, local guides in the Altai Mountains have got to know the cats well enough to have a decent chance of showing them to tourists, especially in August when the cubs are growing fast and need food. We have a six-night stay in prime habitat on a quest to see them, along with some superb other mammals such as Siberian Ibex and Saiga. This trip also takes in Hustai National Park for the reintroduced Przewalksi’s Horses. The remote wild county of the Ardnamurchan Peninsula is widely regarded as the best place in Britain for mammals. The richness of the land, with its Red Squirrels, Pine Martens, Hedgehogs and deer, is matched by the sea, with Grey and Common Seals, and cetaceans such as Harbour Porpoise and Bottlenose Dolphin. 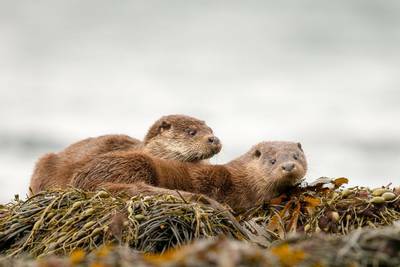 Here in Scotland the Otter is also mainly seen on the seashore, often giving close and prolonged views. August is a good time of year to see Minke Whales and we will take a boat trip towards Coll and Muck to try our luck, checking for whirling seabird flocks that offer a clue to shoals of fish beneath the waves. 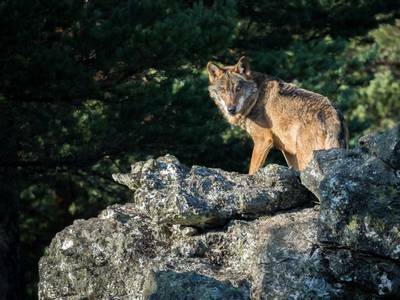 Here’s a short trip of total immersion into some of the remotest countryside in northern Spain, searching hard for one of its most elusive inhabitants, the Wolf. It takes effort and patience, standing on viewpoints overlooking the tapestry of mountain slopes, abandoned villages, deep forests and high-altitude ridges. However, at least 80% of our groups have at least one encounter. Many recent groups have seen Wildcat, too, and there is a slim chance of Cantabrian Brown Bear. The whole area is excellent for birds, particularly raptors, and at the end of each hard-working day the home-cooked food tastes out of this world. Searching for the Iberian Lynx, the world’s rarest cat, is a big challenge made delightful by the glorious surroundings and equable winter climate of Andalucia. 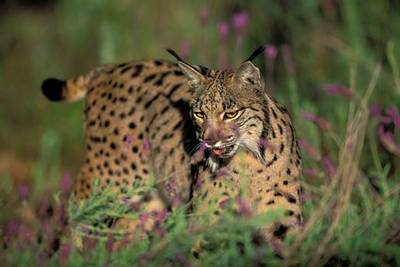 This tour covers both the world’s Lynx refuges, the Coto Doñana, where local guides will take us to known hotspots in the low-lying dunes and scrub, and the nearby Sierra Morena, where we will spend time scanning the scrubby hillsides from watchpoints. Seeing a Lynx will be a triumph, while we will inevitably revel in finding much else, such as Spanish Imperial Eagles, Cinereous Vultures, Marbled Ducks, Red Deer and Wild Boar. 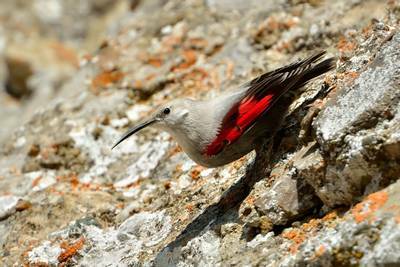 Evidently a cross between a bird and a butterfly, the enigmatic Wallcreeper, with its brilliant crimson wings spotted with white, is one of the world’s most sought-after birds. In summer it lives on high-altitude, sheer cliffs and can be hard to reach, let alone find. In winter, though, it retreats downhill and can even be found on buildings. Here in Provence we will look for it in historic places such as Les Baux and Roman-built Pont du Gard, a stunning backdrop. In complete contrast we will also visit the nearby Camargue with its own rosy bird, the Greater Flamingo, and many other highlights. Really two holidays in one, this is a tour of happy contrasts. One moment we are in the high Carpathians looking for Wallcreepers and Nutcrackers, the next we are on a floating hotel in the vast Danube Delta, surrounded by mighty flocks of waterbirds and clouds of dragonflies. The hills around Zarnesti are in unspoilt Transylvania, full of turreted castles, legends and Brown Bears, which we’ll see from a hide. A day’s drive away, the Danube Delta is 3000km2 of reeds, channels, riparian woodlands and islands, a world of Pelicans, Cormorants, Herons and waders, as well as on-board meals, drinks and luxury. Take your pick – except, you get both. The Somerset Levels in deep winter is a place of big skies and even bigger bird flocks. The most famous of these are the huge pre-roost assemblies of Starlings, numbering over half a million birds, which darken the sky over the local marshes each evening and, if the fancy takes, them, embark on extraordinary aerobatic manoeuvres in the crisp winter gloaming. Incredible though this sight is, the massive flocks of ducks and waders, especially at West Sedgemoor, are not far behind. 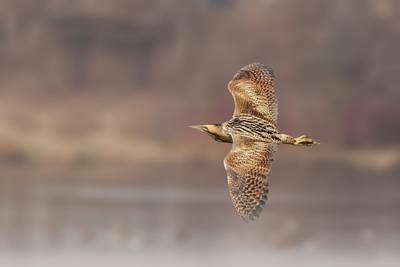 As a bonus, The Levels have also become the long-legged bird capital of Britain, with Great Egret, Bittern and Common Crane all present in the area. 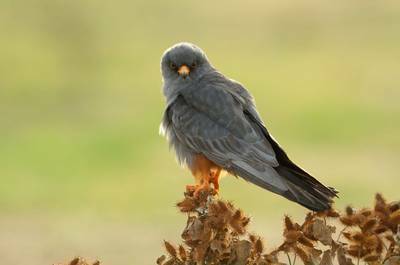 In spring, the marshes come alive with noisy warblers and abound with Marsh Harriers, Egrets, Ducks and Cuckoos. It’s the moment when an Arctic cruise turns red-hot – the first sighting of a Polar Bear, the top predator of this stunningly beautiful, icy realm. You heard stories when you were a child, you’ve seen them on TV, but nothing prepares you for the spine-tingling thrill of seeing one in the wild. 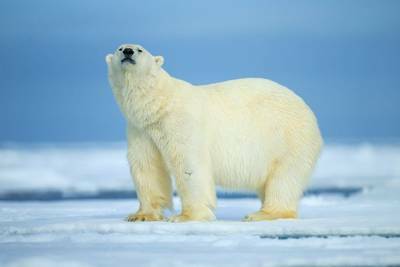 Yet the Polar Bear is only the tip of the iceberg on this cruise on our specially chartered vessel. Watching from deck and sometimes use Zodiacs for landing, we will explore the archipelago for Walrus, Arctic Fox, various seals and whales (even Blue Whale) plus a host of birds, such as Puffins, Grey Phalaropes and that ghost of the north, the Ivory Gull. Mountain flowers are one of the wonders of the world. Often growing in shallow soil in harsh environments, with a short growing season, they are the colourful, if ephemeral glory of the uplands. 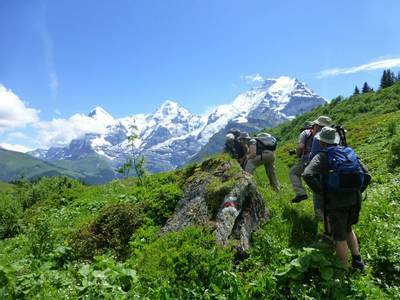 There are few more scenic locations in which to search the rich meadows, rocky outcrops, scree, snowmelt and forest edge than Switzerland’s Bernese Oberland, with its magnificent backdrop of high mountains, including the peaks of the Eiger and the Jungfrau. Here blooms of all kinds abound, from frilly-skirted Snowbells to Lady’s Slippers, and from deep purple Alpine sainfoin to yellow Alpine Pasque-flower and the impossibly deep blue of gentians. It’s flowery heaven! And if you love it, you can come back for more in July to look for butterflies. Throughout much of its wide range the Jaguar stays in the shadows, shy and secretive, leaving nothing behind except signs and rumours. 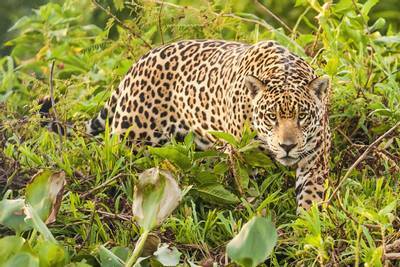 In the Pantanal of Brazil, however, a freak combination of perfect habitat, high population and abundant food means that this apex predator can be seen with some reliability. We visit the heart of South America’s largest wetland, staying on a floating hotel and taking boat trips into the best area for Jaguars on earth! Giant Otters are common here, too. Elsewhere on this tour we have a chance of seeing Giant Anteaters and Hyacinth Macaws, among other highlights. years, the islands have nurtured a ragtag assortment of unique animals and plants. 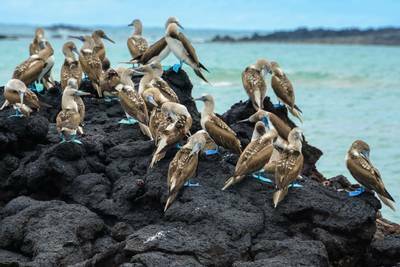 On this memorable tour, we cruise around the islands on our own charter vessel, very much at our own pace, truly absorbing the atmosphere of the different islands, and seeing almost all the famous inhabitants such as Galapagos Penguins, Flightless Cormorants, Marine Iguanas, Giant Tortoises and the famous Finches and Mockingbirds that inspired Charles Darwin. 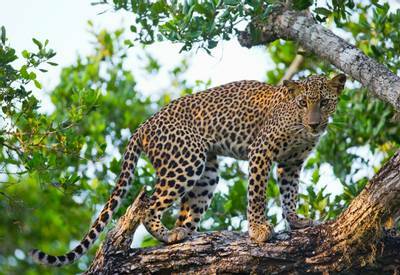 Big cats have an irresistible allure, judging by the number of tours Naturetrek runs to find them. But no other cat quest takes place in scenery like this. The incomparable Torres del Paine National Park, with its tall mountains sticking up like the vertebrae of a huge carcass, clear-blue lakes and wide open expanses, is a cool, fresh version of paradise, with a superb range of exciting wildlife such as Lesser Rhea, Guanaco, Andean Condor, Hairy Armadillo and both Grey and Culpeo Foxes. 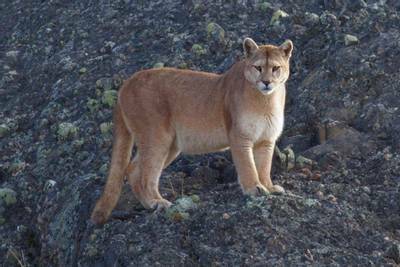 Yet top of the list is the Puma, or Mountain Lion itself, here easier to see than anywhere else on earth. 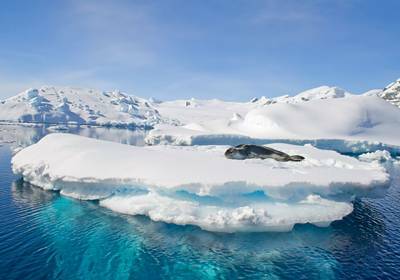 This is a cruise to the end of the world and back, edging into the pristine wilderness of Antarctica, a realm of icebergs, jagged islands, snowy wastes and incomparably rich seas. While the southernmost continent is the aim, the true wealth in in the oceans, and much of our wildlife-watching is from the deck, with the constant company of exciting seabirds such as Albatrosses and petrels, and intermittent spouts of whales and pods of dolphins. From the Falkland Islands – or “Scotland-with-penguins” – to mountainous South Georgia and finally Antarctica itself, we will see icons such as Leopard Seals, Orcas, Humpback Whales and Snow Petrels, all framed in the stark white, grey, blue and black of this unforgettable landscape. 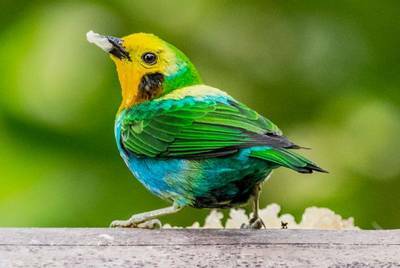 There are times that Tanagers look like ordinary birds that have been spattered with brilliantly-coloured paint, and then glazed for iridescence. The names are a bit like that, too, scattergun words and descriptions such as Purplish-mantled, Glistening-green, Beryl-spangled and, of course, Multicoloured Tanagers. We could see 40 species on this tour as we venture up into the bromeliad-laden, outrageously verdant cloud-forests of Central Colombia, in the richest country for birds on earth. There are 50 species of wonderful Hummingbirds, a host of Toucans, Manakins and Cotingas, many of them endemic to the area. The sight of mixed colourful bird flocks in the canopy is a feature of this area, a firework display of diversity and scenery. What would be top of your list of whale and dolphin sightings? Perhaps it would be seeing a Blue Whale, no less than the largest animal in the world, with its huge spout, as high as a fountain? Perhaps it would be experiencing a “mega-pod” of hundreds of dolphins? Perhaps it would be meeting a great whale very close-up, eye to eye? 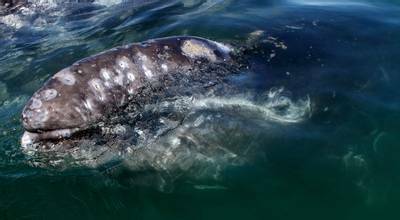 On this cruise down the western coast of Baja California and into the cetacean-rich Sea of Cortez, all these experiences are possible – indeed, likely! We even have a chance of swimming with Whale Sharks, and snorkelling among the smaller, colourful fish in the rich, calm waters. 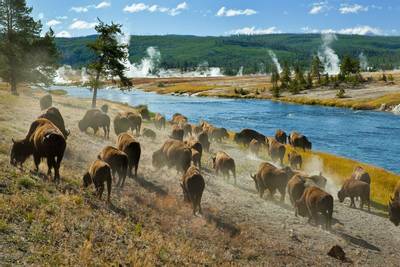 It may be the oldest national park in the world, but Yellowstone keeps coming up with the goods, as reliably as its famous geyser “Old Faithful.” On this tour we see many iconic mammals and birds, in great scenery with the leaves exploding into arrays of reds, yellows and browns. The famous Lamar Valley is a hotspot for Wolves, while we are bound to run into huge Grizzly Bears and Black Bears as they search for berries and other provisions to help them prepare for hibernation. There are also Mountain Goats, Bison, Pronghorn Antelope and a range of Deer and Squirrels, and birds such as Sage Grouse and Great Grey Owl. For further information, on our holidays, call 01962 733051 to speak to our friendly office experts, or email us using the contact form below. We’ll get right back to you!